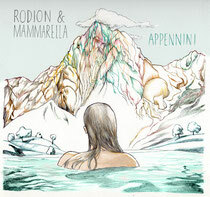 Slow Motion Records return with the ‘Appennini’ EP by Rodion & Mammarella this July, including a remix from Alien Alien. Italian imprint Slow Motion Records have moved from strength to strength since launching in 2009, earning support along the way from heavy hitters like Doc Martin and Kollektiv Turmstrasse. 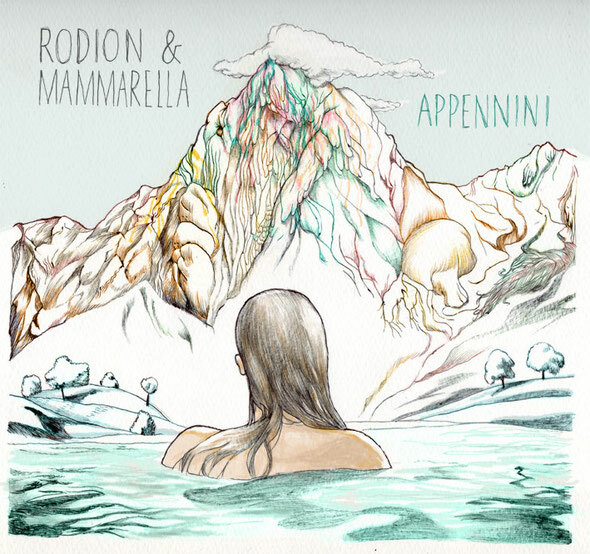 Rodion & Mammarella have been releasing their cosmic synth lead funk for several years now, and with tracks finding their way into the playlists of Andrew Weatherall, Aeroplane and James Holden, it’s evidently clear the Italian duo are finely tuned in to the disco sound of today. The name ‘Appennini’ comes from the Italian mountains that split the country into two parts, but at the same time links Rome and Chieti where Rodion and Mammarella are from. The duo have an extensive collection of analog equipment which they have used to create the collection of tracks ranging from classic Roland Juno, Jupiter and Moog synthesizers, Oberheim & Veroma drum machines through to Roland Space Echo and Moogerfooger FX Units. ‘Escape From Kyoto’ opens the release, incorporating worldly percussion, an arpeggiated bass hook and trippy lo-fi sonic tones creating a raw energetic movement. Subtle filter-modulation on the atmospheric elements make for a vacillating flow throughout the composition, while ‘80s style synthesizers are worked in to the break giving off a retro vibe. The vintage feel is further brought to fruition by working back in the rugged arp-line in combination with a vocoded spoken-word, further fuelling the old school aesthetic. The Alien Alien Dub version strips back the more upfront feel of the original, giving off a slo-mo semblance. Intricate placements of big room reverb bursts and precise delays create an astonishing background depth. Bright synth stabs create a rolling melody, driving the track and invariably fluttering in pitch, to create an intense evolving feel. ‘Majella’ again captures the essence of Italo-Disco with an 8-bit electronica feel, rich synth lines full of depth play off each other, constructing delicate melodic intricacies in the arrangement. A simple yet fitting sturdy 4/4 drum pattern runs throughout allowing ample room for the euphonious elements to take the limelight. The Italian duo apply various production techniques to the sequences such as warbling tremolos, heavy choruses and filter sweeps fabricating a blossoming edginess on the track. Out 19th July. Have a listen HERE.